To me, beauty has never been about something outwardly, physical, material and visible at first glance. On the contrary, I've always associated it with our inner being, something we carry deep in ourselves and what constitutes one aspect and spark of our essence and our soul, and thus our looks. I'm not talking here about perfect proportions of the face measured by golden cut, which many consider as prerequisite for beauty. I've encountered a great deal of girls and women with beautiful faces, but often there was a missing part, one that would help to capture the impression of true beauty. I completely agree with the famous saying that beauty is in the eye of the beholder and I support everyone's prerogative to a different perception of beauty, but for me it's not just an outter apperance, a pretty face and an attractive body, but a person's attitude, manners and self-confidence that shapes the virtue of being outspoken and valiant in expressing our thoughts and opinions on diverse subjects at any moment. I unfailingly admired the people with that sort of courage, strong characters who speak what they think out loud, without the fear of being condemned by others. I wasn't like that, throughout my childhood and adolescence I was constantly afraid to give voice to any kind of stance, frantically worrying if somebody would get angry or insulted by my words. As time went by, I realized that some people doesn't have that problem. They were always openly explaining and defending their beliefs and persuasions, regardless how the others will perceive them. By that I of course mean the people who in a decent, polite, cultured and civilized fashion, without raising the tensions, form their point of view, in a words that aren't arrogant, insolent, pretentious or offensive to anyone. During my college studies, when I had an opportunity to meet many dissimilar people and conduct a variety of conversations, I decided to practise that technique and started to unconditionally stand behind my thoughts, words and judgements. I understood that in life we'll come across several types of persons: some will appreciate you for your selfesteem and unambiguity, some will turn up the nose sky-high if you say something they may not like and some will try to prove you wrong. Ultimately, all that is irrelevant. What matters is that at the end of the day, when you rewind a certain dialogue in your head, you feel good, rather then to mumble at your reflection in the mirror: I disagree with that, I should've said this, why didn't I said that, I hope that my interlocutor will infer what I meant/wished/wanted to say. They won't. Nobody can read our thoughts so we have to unreservedly clearly say what's on our mind. That way we'll feel better, fulfilled and satisfied, a comprehensive, gracious beauty will emanate from within, beauty fraught with meaning and content, instead of a cold, flawless yet void mask with which we strive to amaze the world and in which we actually seek for an alibi and deceive ourselves, enkindling our self-proclaimed self-importance and status in the society exclusively on account of looks or amount of money we've spent on expensive clothing and makeup, with a sole purpose to dazzle from the outside and to entice the sighs and turning of the heads in our direction. Then and only then the others will notice our individual value and merit and respect us for the right reasons, and that, like the beauty in its very core, is priceless. Dan Oswald stated: „Good communication must be HOT: honest, open, and two-way.“ I can't offer absolutely any objection to that, I revere it as a central thread of every relation. „Communication to a relationship is like oxygen to life, without it, it dies.“ Also, false or fake communication can lead to a relationship brakeup, therefore it's immensely significant, whoever you speak to, whether your boyfriend, husband, employer, parents or teacher, to articulate your viewpoint with lucidity and arguments. The name of the hue of MAC lipstick that is the prize for April, Speak Louder, inspired me to write this text, although I don't recommend raising the voice in dealing with other people. I think that in such manner we will only produce counter-effect and provoke heated discussions and quarrels, whereas we can convey the intended message more easily and sensibly in a calm tone. Upon selection I focused on brighter, cheery and playful nuance, since we stepped into the spring and we put away our coates in wardrobes, and along with them darker colors. 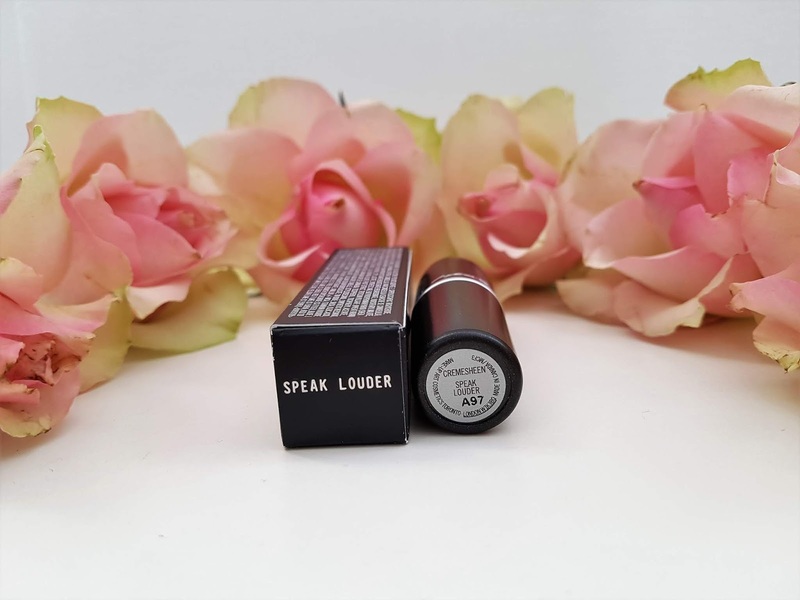 Speak Louder is described as „clean poppy blue pink“, a vibrant, moderately dark pink-red with a delicate blue undertint and a tender natural gloss. 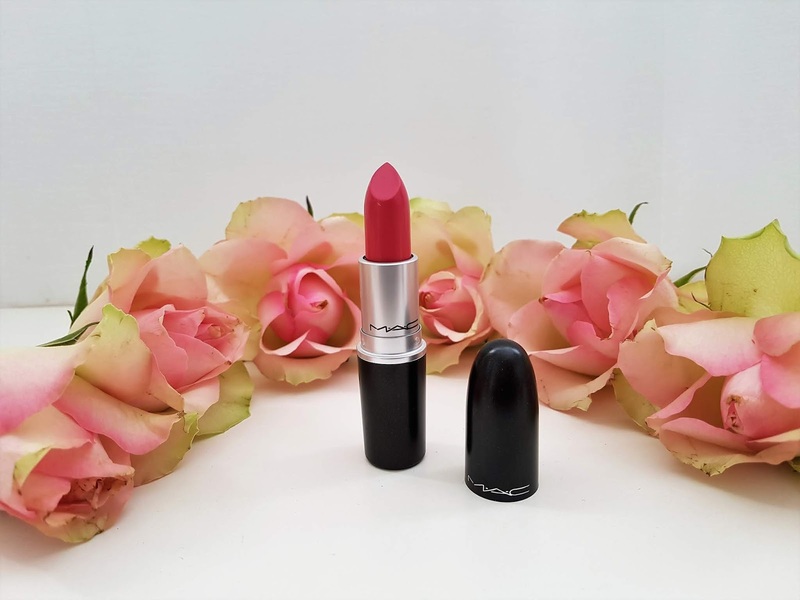 It's a part of Cremesheen collection whose lipsticks are characterized by pleasant balmy formula, medium coverage and semi-lustrous finish. The color can be upgraded to desired intensity with additional layers, and I deem this shade ideal for the beginning of spring. To participate in Giveaway you are required to subscribe on The Exclusive Beauty Diary YouTube channe and follow the Instagram profile. 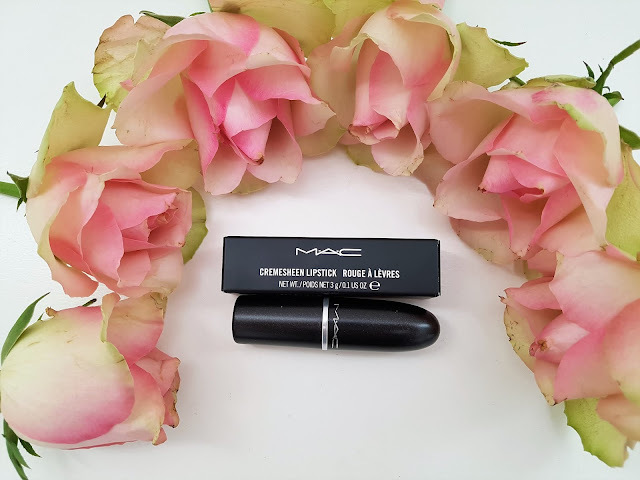 The lucky winner will be randomly elected and announced on the 1st of next month, when a new Giveaway with a new shade of MAC lipstick starts. 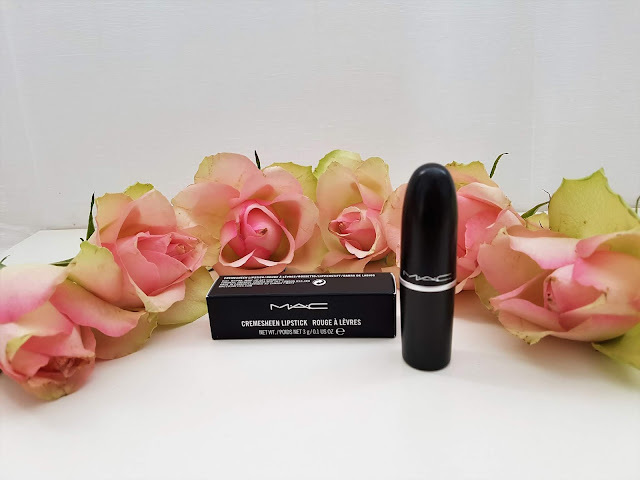 If you have subscribed on YouTube channel once and you're following the Instagram profile, you stay in the game for upcoming months and you can win some of the future lipsticks. I shall display the name of prize recipient at the end of the post and make contact via Instagram. In case that I don't get a feedback within 10 days, new winner will be chosen on the 11th of the month. Residents of the listed countries can contest in the award pool: Albania, Austria, Belgium, Bosnia and Herzegovina, Bulgaria, Croatia, Czech Republic, Denmark, Estonia, Finland, France, Germany, Greece, Hungary, Iceland, Ireland, Italy, Kosovo, Latvia, Lithuania, Macedonia, Montenegro, Netherlands, Norway, Poland, Portugal, Romania, Russia, Serbia, Slovakia, Slovenia, Spain, Sweden, Switzerland, Turkey, Ukraine and United Kingdom. I sincerely wish you all good luck, enjoy in wonderful and sunny days and, if you haven't been professing your sentiments so far, maybe the spring's onset is the right time. You never know who's eye your beauty while you speak will catch, 'cause it's not just in the looks, but in countless other components, and one of the paramount is ability to communicate laoud and clear. Once again, a lot of luck and all the best till the next post! Beauty comes from within, does not it? 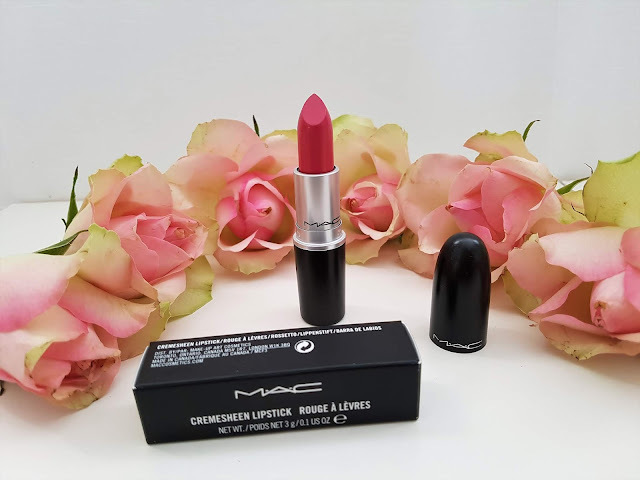 I loved the color of this lipstick, I always wanted to have a Mac lipstick. Que batom lindo, amei a cor. 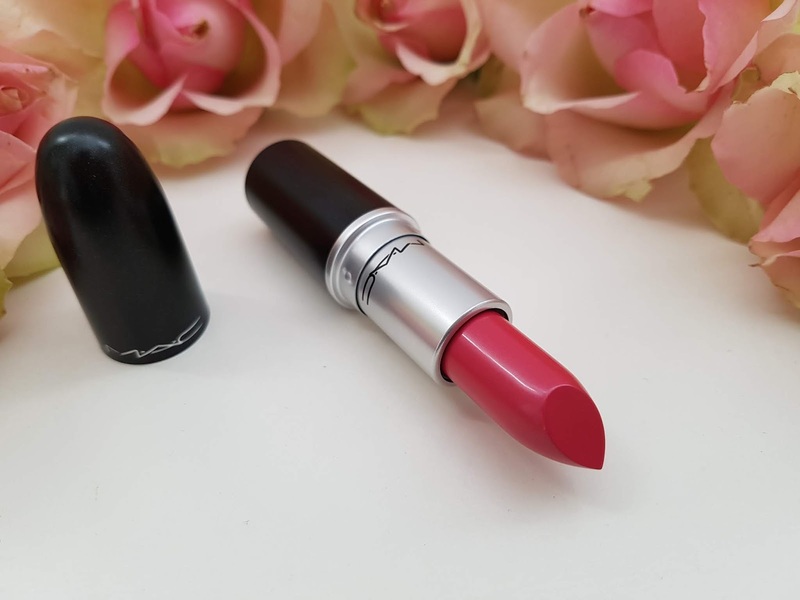 I'm not a huge fan of MAC but I do adore their lipsticks. Good luck to everyone entering! Ohh that lipstick is so beautiful. Gorgeous color! Nice posts, it's always nice to verbally say whats on our mind. That shade of lippie is pretty. It's the perfect pink shade! 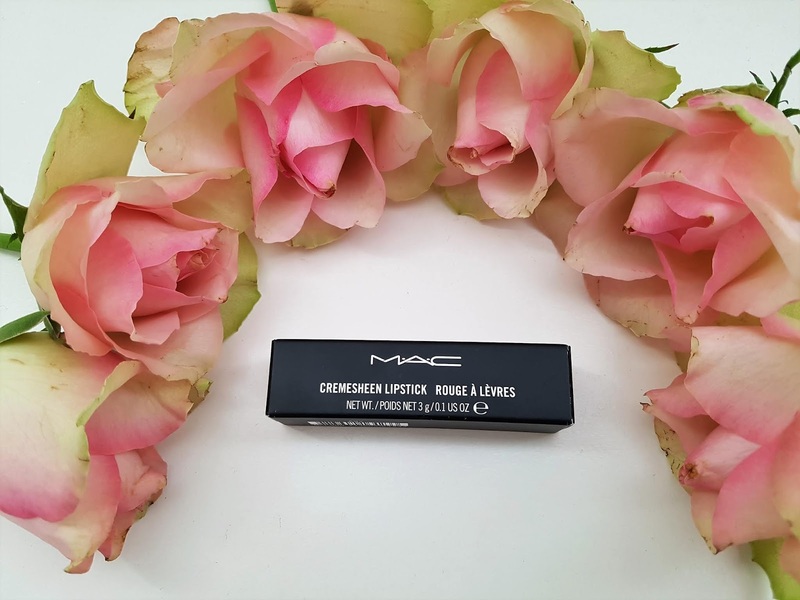 Ahhh MAC lip shades are so gorgeously pigmented - this shade is lovely too! My fav lipstick is Diva!